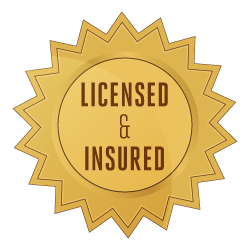 Always Hire A Licensed And Insured Edmonton Roofing Company You must always hire a licensed and insured Edmonton roofing company. As a property owner, you cannot hire any roofer who doesn’t have the proven credentials or the legal requisites to be in the business. A company cannot offer roofing services, commercially, without having the license to do so. You can certainly attend to your own roof without any formal training or licensing requirements but a company or a roofer cannot. In an ideal scenario, you should be looking for a roofing company that has the trade license to operate, has a principal place of business, is associated with roofing associations or credible organizations and should have a rating from the Better Business Bureau. Not all property owners put the same degree of importance on all these elements but they do matter. A company that is licensed and has a good rating from the BBB is always a better hire than one that is licensed but doesn’t have such a rating. The license is more of a formal requirement to ensure that you are dealing with a legit company. What matters more than that is insurance. A roofing company must have adequate insurance to cover the liability of workers’ compensation should there be any injury or for compensations should there be any damage to your property. Roofing is not a particularly a dangerous job. It is extremely safe and modern roofing methods have absolutely no risks whatsoever. But there are unfortunate circumstances when roofers suffer a fall or are injured during any of the different stages of roofing. In such a circumstance, the worker or roofer will claim compensation or damages, there will be medical bills and all of that will have to be borne by the roofer. If a roofer doesn’t have adequate insurance coverage that includes all such possibilities the onus is on the property owner. An insured roofer will be well provisioned to take care of such untoward situations but an uninsured roofer will have no such advantage. As a property owner, you should safeguard your interests by hiring an insured roofer to avoid paying any compensation in any circumstances. Also, should your property be damaged in the process, you will have to be compensated by the roofer which will only happen if the roofing company is insured and has comprehensive coverage. Check the licenses and also the type of insurance a roofing company has prior to hiring one.